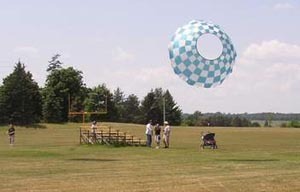 Just one of the many large Bols that graced the skies at the University of Waterloo venue. 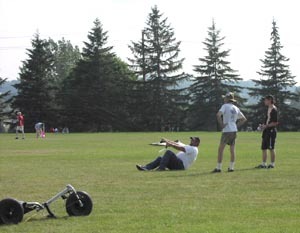 This guy was seriously overpowered in the gusty winds and was dragged almost halfway down the field! 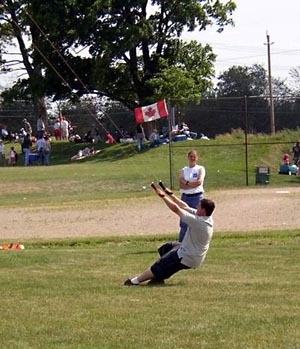 Maybe a smaller foil would have been a better choice given the strong, blustery conditions. 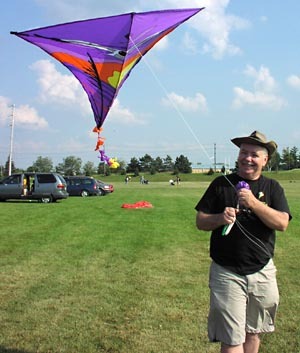 Ed Hummel shows off his large Eddy kite he won as a raffle prize. 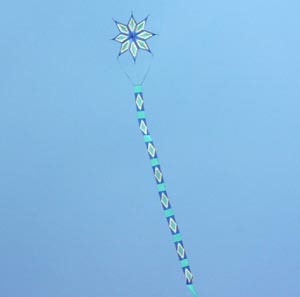 Jeff Donde put up a beautiful Star kite and then hung a very pretty Centipede lower down the line. Just some of the line laundry on display at the fly. 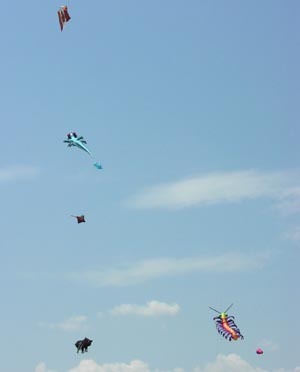 Rick Longhurst decides to take a seat while flying his NPW-HA power kite.